State Representative Al Riley is Assistant Majority Leader in the Illinois House of Representatives 99th General Assembly and serves the 38th District in Chicago’s Southland region. He is a member of the Appropriations-Public Safety Committee and Transportation: Vehicles & Safety Committee, to name a few. Riley’s focus has been to use his professional and political experience in advancing the issues of resource allocation and equity for the Southland region of the Chicago metropolitan area. The landmark Mass Transit bill included a permanent south suburban seat on the Metra board, money for innovative transit solutions for PACE, a bond issue promise for new cars and improvements on the Metra Electric line and development of the SouthEast Service line. ​Professionally, Riley is an urban planner and statistician. Prior to coming to Springfield in 2007, Riley’s career included service on the research staff of the American Society of Planning Officials in the early ‘70’s. Some of his other areas of service include being a Chief Planner and Director in county government and holding executive positions in the private sector. Riley taught urban studies and public health planning at the University of Illinois at Chicago, and was an adjunct professor of Public Administration and Statistics at Governors State University for eleven years. He holds Bachelors degrees in Economic Geography and Secondary Education from Chicago State University, Master of Urban Planning and Policy Analysis and Statistics, and Doctoral study in Public Policy Analysis from the University of Illinois at Chicago. Marco McCottry is currently General Manager of Uber in Illinois and Indiana. McCottry, a Cleveland native, previously ran Uber’s operations in Central Texas and Oklahoma. McCottry led Uber Austin to become one of Uber’s fastest growing U.S. markets, achieving over 2.5 million trips in its first year of operations. McCottry joined Uber in August 2014. Prior to Uber, McCottry led mergers and acquisitions as Corporate Development & Planning Manager for Eaton Corporation and worked in investment banking at National City Bank. McCottry graduated from Columbia University, where he played basketball, and holds an MBA from the Wharton School of Business. He lives in Chicago with his wife Courtney and new baby, Navy. Chicago is Uber’s 4th largest U.S. market, and the company employs more than 300 full-time workers across the city. In addition, approximately 35,000 drivers use the Uber platform on a monthly basis to earn money. From Uber’s founding in 2009 to launches in over 300 cities today, Uber's rapidly expanding global presence continues to bring people and their cities closer. David is currently the General Manager for Lyft in Chicago. He joined Lyft after several years at Groupon where he held a variety of roles across management, operations, and product. Prior to Groupon, David was a Manager in Deloitte Consulting’s Strategy practice where he focused on customer strategy and cost reduction. David is a graduate of the University of Illinois and Columbia Business School and resides in Arlington Heights with his wife and two young children. Chicago is one of Lyft's top markets where it has operated since May 2013. Lyft continues to see strong growth in Chicago with the launch of Lyft Line, Lyft's shared ride product, in December 2015 and Express Drive, Lyft's car rental program, in March 2016. Lyft is committed to reducing car ownership and providing a better way of transportation for the people of Chicago. 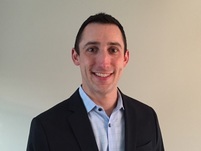 Chris Snyder is Via's General Manager in Chicago. 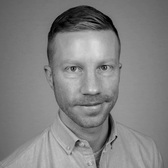 Prior to joining Via, Chris developed analytics-driven social media tools and built supercomputers designed to discover new pharmaceutical drugs. He received his undergraduate degree in social studies from Harvard University. Via is re-engineering public transit by providing shared rides in comfortable vehicles at affordable, flat fares. Via’s technology utilizes sophisticated algorithms that dynamically produce the best route and most efficient pickup and drop-off points for each passenger, creating a truly seamless system without the need to rely on fixed routes. Targeting the gap between outdated public transit and expensive private car services, Via currently operates in New York City and Chicago, has provided more than three million rides, and is growing rapidly. Founded in 2012 by Daniel Ramot and Oren Shoval, Via has raised $137M to date and is headquartered in New York, with offices in Tel Aviv and Chicago. he Shared-Use Mobility Center is a public-interest organization working to foster collaboration in shared mobility and extend its benefits for all through piloting programs, conducting research and providing advice and expertise to cities and regions. She previously served as CEO of Chicago’s IGO Carsharing.